S3 water-repellent Nubuck Pull-up high shoe, multilayer toe cap 200J. Width 11. Air Mesh lining, penetration resistant K SOLE, removable EVA insole. Outsole : PU foam midsole. 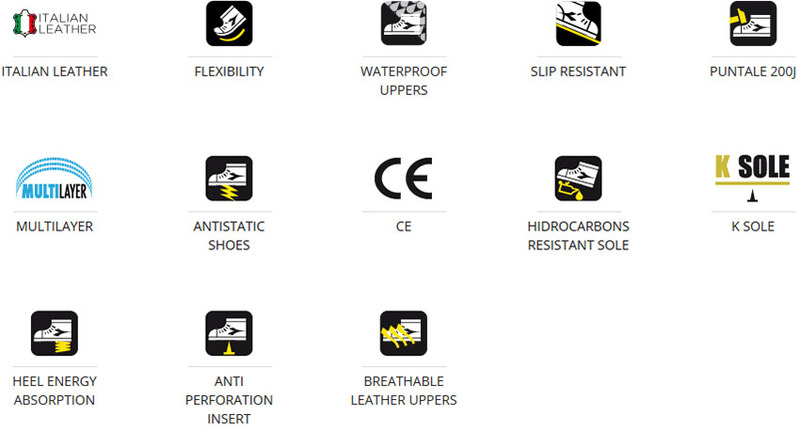 Compact abrasion-resistant PU outsole.